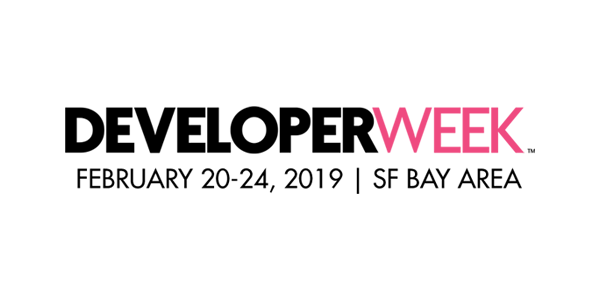 DeveloperWeek 2019 is San Francisco’s largest developer conference & event series with dozens of week-long events including the DeveloperWeek 2019 Conference & Expo. Each year, 8,000+ developers, engineers, software architects, dev teams, managers and executives from 70+ countries gather in the SF Bay Area — the world’s epicenter of developer innovation — to discover the latest in developer technologies, languages, platforms, and tools. When it comes to technology, there’s incremental change, and then there’s fundamental innovation. Developer technology, from blockchain and artificial intelligence to big data and quantum computing represents fundamental innovation that people can build on for years. We are in the DevTech Age, where developer technologies and tools are now the most disruptive and fundamental technology innovation in the marketplace. When we were approached with the opportunity to present at DeveloperWeek 2019, we immediately realized that this was an opportunity worth taking. DeveloperWeek is one of (if not the) premiere development-centric events in the United States each year, and 2019 is no exception. While we have spoken to audiences that skewed more technical before, we have not had a chance to speak to a crowd like the one we will probably have at DeveloperWeek. It’s location in Oakland obviously situates it in the middle of Silicon Valley, the area with the densest location of tech companies, innovation, and development in America. Additionally, we have been granted a longer-than-average speaking slot, as compared to other conferences we have attended (usually presentations are 20–30 minutes, we have 50 at DeveloperWeek). Finally, due to a host of factors across the industry and within our own project, we are going to be more selective about which conferences/events we attend in 2019. We have certainly set the bar high with DeveloperWeek as our first outing of the year. Due to the tightness of our schedules and the scale of the response we received, we will not be having an official supporter meetup while we are in Oakland. However, if you are going to be at the actual conference, feel free to message us on Twitter or Discord and we may be able to meet up and say Hi, time allowing.